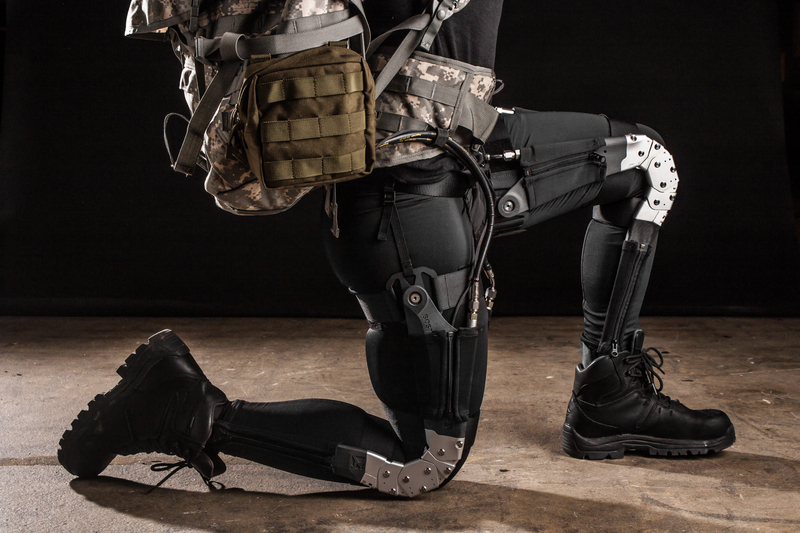 Robotic exoskeletons have come a long way, and are even breaking the mold. When one utters the term, it tends to conjure up images of a heavy suit with a metal frame that bestows the wearer super-human strength – as exemplified by Daewoo’s robot worker suits. And whereas those are certainly making an impact, there is a burgeoning market for flexible exoskeletons that would assist with everyday living. Researchers at Harvard’s Wyss Institute for Biologically Inspired Engineering have developed just such a device, a flexible fabric exoskeleton that earned them a $2.9 million grant by DARPA to continue developing the technology. 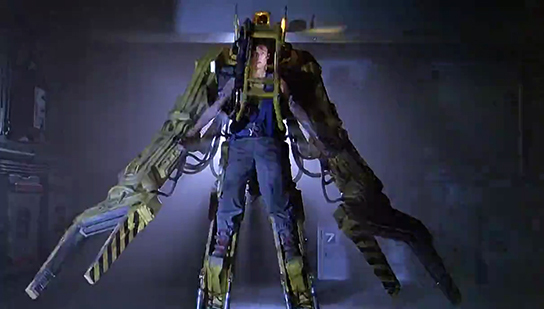 Unlike the traditional exoskeleton concept, Harvard’s so-called “Soft Exosuit” is not designed to give the wearer vastly increase lifting capacity. 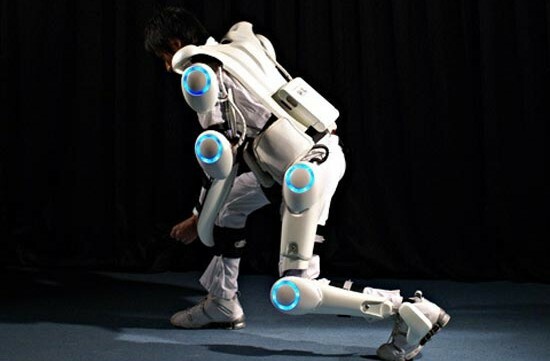 Instead, the Soft Exosuit works with the musculature to reduce injuries, improve stamina, and enhance balance even for those with weakened muscles. In some ways, this approach to wearable robotics is the opposite of past exoskeletons. Rather than the human working within the abilities and constraints of the exoskeleton, the exoskeleton works with the natural movements of the human wearer. The big challenge of this concept is designing a wearable machine that doesn’t get in the way. In order to address this, the Wyss Institute researchers went beyond the usual network of fabric straps that hold the suit in place around the user’s limbs. 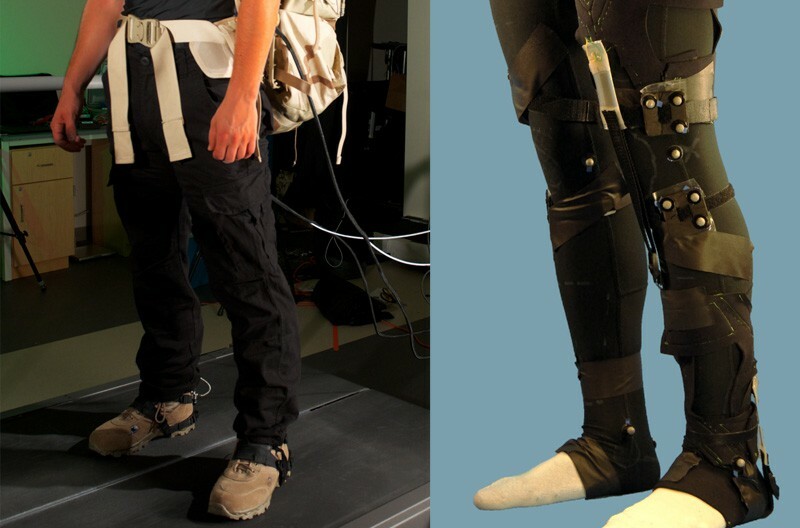 In addition, they carefully studied the way people walk and determined which muscles would benefit from the added forces offered by the Exosuit. With a better understanding of the biomechanics involved, the team decided to go with a network of cables to transmit forces to the joints. Batteries and motors are mounted at the waist to avoid having any rigid components interfering with natural joint movement. This allows the wearer the freedom to move without having to manually control how the forces are applied. 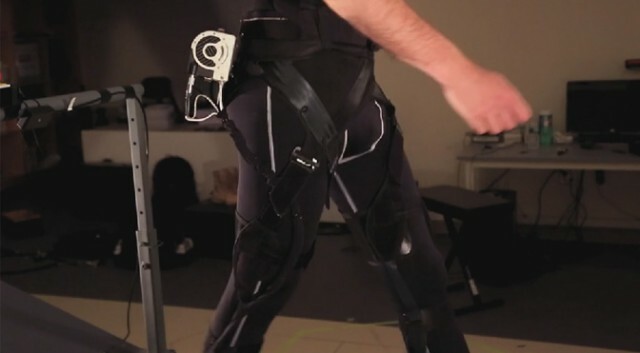 Basically, the wearer does not have to push on a joystick, pull against restraints, or stick to a certain pace when walking with the Exosuit. The machine is supposed to work with the wearer, not the other way around. The designers integrated a network of strain sensors throughout the straps that transmit data back to the on-board microcomputer to interpret and apply supportive force with the cables. DARPA is funding this project as part of the Warrior Web program, which seeks to reduce musculoskeletal injuries for military personnel. However, Harvard expects this technology to be useful in civilian applications as well. Anyone who needs to walk for long periods of time at work could benefit from the Soft Exosuit, which is less expensive and more comfortable that conventional exosuits; and with a little rescaling, could even be worn under clothing. But the greatest impact of the Soft Exosuit is likely to be for those who suffer from a physical impairment and/or injuries. Someone that has trouble standing or walking could possibly attain normal mobility with the aid of this wearable robot. And people working their way through physiotherapy would find it very useful in assisting them with restoring their muscles and joints to their usual strength. The team plans to collaborate with clinical partners to create a version of the exosuit for just this purpose. What the Wyss Institute has demonstrated so far has just been the general proof-of-concept for the Soft Exosuit. In time, and with further refinements, we could see all sorts of versions becoming available – from the militarized to the medical, from mobility assistance for seniors, to even astronauts looking to prevent atrophy.